Counting the reps in a set is no problem. It’s so easy to put all your concentration on the number of push-ups or crunches you’ve done. While in the middle of a workout, if you’re anything like me then all your focus is on what number of push-ups you’ve done and all your energy is concentrated on just being able to push yourself up, even when you’re tired. But during this tiresome exertion, as you put everything you have into growing your muscles and becoming fit, did you remember to take a breath with that last push-up? If you’re anything like me, you may have just started to hold your breath at the beginning of the set and then don’t start breathing again until you’ve finished. Breathing actually takes a lot of concentration, especially if you want to do it right. Wait! There’s a right way to breathe? You might be thinking that you’re still alive, so you must not be doing it wrong. But breathing is such an integral part of life that is often taken for granted. The average adult will breathe 12-20 times per minute, which adds up to 17,000-30,000 breaths per day. Breathing is such a normal and natural thing to do. It’s so basic, so how can there possibly be a wrong way to breathe. Take a moment right now and concentrate on how you’re breathing. Don’t do anything differently, just pay attention to how you are doing it. Just put one hand on your chest and another on your abdomen and pay attention as you take a few breaths. Did you notice anything, like which part of your body is rising and falling? Is the air going to your chest or stomach? If the air is going to your chest and your shoulders are being raised with each breath, then I’ve got some bad news for you, you’re doing it wrong. Breathing through your chest is very inefficient. Chest breathing, also called shallow breathing or clavicular breathing, happens when you draw air into your chest which means that a minimal amount of air is going into your lungs. Doing this uses the intercostal muscles rather than the diaphragm. Chest breathing are usually short and quick. The lungs don’t take in as much air which means that not as much oxygen is delivered to the rest of the body. Compared to chest breathing, stomach breathing uses your entire lung capacity. The diaphragm pulls down on the abdominal cavity which allows for the lungs to be fully inflated. This is the right way to breathe and the most efficient. Abdominal breathing, or diaphragmatic breathing, will maximise the amount of oxygen that goes into the bloodstream as you take normal breaths. Breathing is what gives your body energy and provides your muscles with the strength they need to perform at maximum capability. When you breathe, the oxygen goes into the bloodstream to circulate and enter your organs, muscles and limbs. Your body is able to convert oxygen that enters the bloodstream into energy. This improves endurance, strength, and energy. As something so important for your body, how is it possible for some people to forget to breathe? Some people just get too into finishing their workout that breathing gets pushed to the side. Get a breathing coach. Having someone stand over you while you workout and yell “breathe” is a great way to be reminded to breathe. You can even use a friend for this as long as you have someone over your shoulder as you exercise who will make sure you take breaths when you should. Come up with a rhythm for each exercise. Keep in mind that you want to be breathing out when you exert the most force. breathe in when you go down on your push-up and breathe out when you push yourself back up. The first couple of tries might be hard, but once you get into the proper rhythm, things should pick up from there. Join sports that focus on breathing and meditation. Many martial arts and yoga styles have a high focus on breathing and meditation and have forms that are based on applying the proper breathing techniques to maximise performance and balance. Practice breathing at home. Just take 15 minutes out of your day to relax and practice regulating your breathing. Find a quiet room and concentrate on making sure that you are breathing the right way and developing a good breathing rhythm. Implementing proper breathing techniques is very important in kung fu. There is the mentality in traditional Ngo Cho Kun kung fu that effective breathing methods can lead to internal cleansing. The breathing techniques used in kung fu began as a part of ancient Taoist practice, adapted from Buddhism, to improve the monks’ ability to meditate. The belief was that when you inhale, you draw in good vibes, peace, and harmony. And when you exhale, you push out negative vibes, frustration, and anger. Health – when used correctly, the Ngo Cho application of breathing can strengthen the internal organs to improve circulation, the nervous system, and mental concentration, as well as cleanse the body of toxins. The proper breathing techniques of Ngo Cho will improve the overall health and well-being of a practitioner. 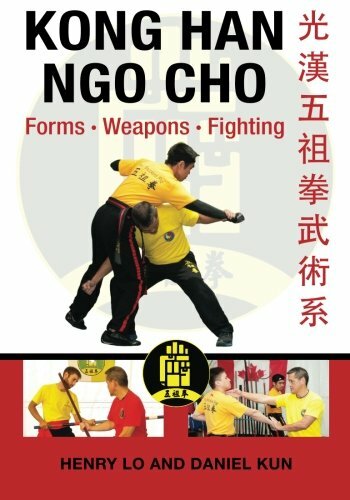 Martial Art – this technique will help strengthen internal organs to enhance your ability to absorb hits, improve healing recovery from wounds, and gain better pain threshold/tolerance. There are a number of martial art forms that focus on breathing as part of the basic training. These forms assist in improving the breathing process and they act as an external force to assist pushing by creating pressure and circulation through movement of the arms, legs, feet, and hands. These forms are considered “combat meditation in motion” and will help to improve coordinated movement when executing techniques. Breathing will also help to improve your stamina and energy. Think of this breathing technique as a circulation of air movement through your body. You inhale the air through your nose and it travels down your throat into your lungs. Your lungs will then distribute the air throughout your body before you exhale to complete the air circulation. First, relax and don’t overthink this. Take a slow deep breath in. As you are inhaling, feel how the air travels through your body. Raise your palms up towards your shoulders and let your chest and stomach expand as your lungs fill with air. Now exhale slowly. Let your stomach and chest return to its original and natural position as you release the air from your lungs. Slowly lower your arms as you exhale and let your palms face away from your body. Relax your stomach and chest and do not use any force to breathe out. The air should travel in through your nostrils, move to the chest, then to the stomach (dan tien) where you feel the air move through your body, and then allow it to exit through your mouth. Always breathe in through your nose since your nose has natural air filters that will block as much dust and debris as possible from entering your system. The Sam Chien form is an Ngo Cho exercise that focuses on breathing techniques. Watch the video on Sam Chien here. The kung fu forms focused on breathing will condition your body to bring in energy and exert energy without holding your breath, and to do so naturally. When you exhale you are pushing out negative emotions and cleansing your body and mind so you are able to receive whatever enlightenment comes to you for when you inhale. Even if you’re not planning on facing an opponent in any kind of combat, proper breathing can have a huge effect on everyday life. It can completely change how you go about your day. Breathing right will have an effect on both your mental and physical health. Doing proper breathing exercises can be quite meditative and relaxing. It can reduce stress levels, improve workouts, and boost your immunity. Breathing exercises train your body to regulate the amount of air you take in so you can get the correct amount of oxygen for your body which will then replenish our brains and other vital organs with essential nutrients.